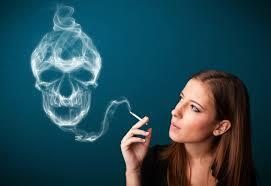 Smoking cigarettes has a cost that can be easily seen and not so easily seen. There are three main areas that come as a cost from smoking: financial, physical health, mental health. Smoking cigarettes in Australia is very expensive. The average smoker in Australia will spend about $ 8500 per year. The biggest problem is that this cost is only paid out in small amounts every time you buy a pack of cigarettes. Despite this people do see the cost and this is probably one of the things that is most mentioned when someone wants to quit smoking. The break down of health is probably the most costly part of smoking. Unfortunately the health effects of smoking cigarettes usually only kicks in from about the mid-thirties. Smoking can lead to a variety of cancers as well as increased risk of heart disease, stroke, emphysema, gum disease, eye problems and skin problems. All of these can be a huge financial burden on families. Again most people come to quit smoking because they realise that smoking cigarettes does effect their health adversely. The good news is that your body can repair itself after quitting smoking. The earlier you quit the quicker and more effective your body repairs itself. The biggest hidden cost of smoking cigarettes is the toll on mental health. The disease’s caused by smoking directly effect mental wellbeing. The worry caused by having cancer, stroke etc takes a huge toll on somebody that has them. This mental cost not only affects them but it also effects family members and friends around them. It’s hard to put a monetary value to this but I would hazard a guess and say that this is the most expensive part of smoking. Everybody smokes because they get a benefit from it but what is the cost of that benefit? In my opinion the cost of smoking far outweighs the benefits and it makes more sense to quit smoking. Previous	Are You Too Confused to Stop Smoking?